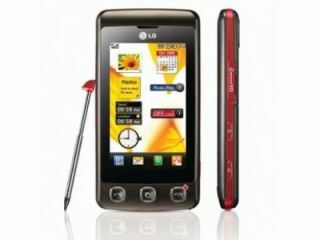 The LG KP500 - always wanted a touchscreen phone but never had the cash? Here you go! LG has released a new handset, the KP500, which is designed to help bring touchscreen phones to the masses. Essentially a watered-down version of the recently unveiled KP910 8MP cameraphone, the phone will have an "affordable introduction price never offered before," though we're yet to find out exactly what this will be. So, for your (relatively small) dollar, you'll be getting a 3in touchscreen, an auto-rotating screen courtesy of an accelerometer, and quad-band connectivity. This means no 3G downloading, so browsing the internet on this thing might be a little slow, but hey, it worked for Apple! You'll be getting a 5MP camera in the little metal bundle too, so despite the reduced connectivity it's still a fairly reasonable handset.